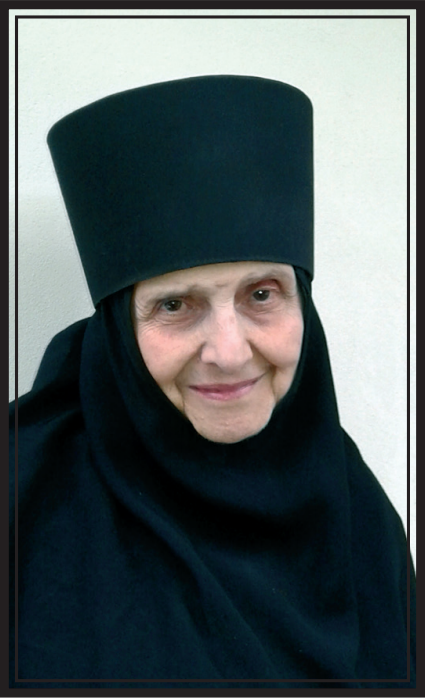 It is with our deepest sorrow that we inform you that on 1st February 2019, after a short illness, reposed in the Lord our beloved sister Nun Evfrosinia (Katsarova) born on 5th April 1934. Even as a schoolgirl Evfrosinia grew to love monastic life and in 1955, despite considerable difficulties and only 21 years old, she joined the sisterhood of the newly formed convent The Protection of the Mother of God. Her spiritual development was profoundly influenced by her secondary school teacher – the late nun Serafima (Yastrebova), thanks to whom she was fortunate to meet and receive a Father’s blessing for spiritual life from St. Seraphim of Sofia. In her monastic life, nun Evfrosinia was a model of obedience, responsibility, humility and kindness. She was secretary of Mother Abbess Serafima for many years, as well as a member of the Convent Council. While performing this obedience during the hard years of the atheistic regime, she, though exceptionally gentle and peaceful in character, firmly defended the convent position of fidelity to the Patristic Tradition before the ecclesiastical and secular authorities. One of her obediences was to receive the guests of the convent. With all the warmth of her heart she helped them in their sorrows and temptations, always taking their hardships to heart, prayed for them and humbly shared directions borrowed from the Patristic wisdom. Nun Evfrosinia will forever remain for us an exemplar of monastic life with her genuine humility, patience, simplicity, delicacy and graciousness, as well as with her diligence in prayer until her last breath. Let us pray to God with all our hearts to forgive her voluntary and involuntary sins and to grant her soul His Heavenly Kingdom. The funeral service and her burial will take place in Knyazhevo Convent The Protection of the Mother of God on 3rd February (Sunday) at 4 p.m.